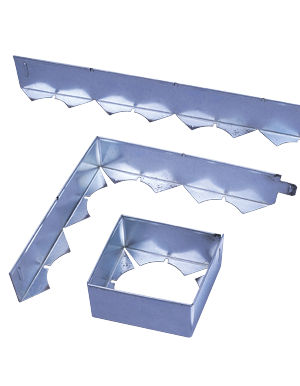 For sealing around penetrations in all flat roofs where outside flange is not desired. Metal pitch pockets can be combined to produce pans of various sizes and shapes. 24 gauge G-90 galvanized steel. Products can be configured into a variety of sizes.